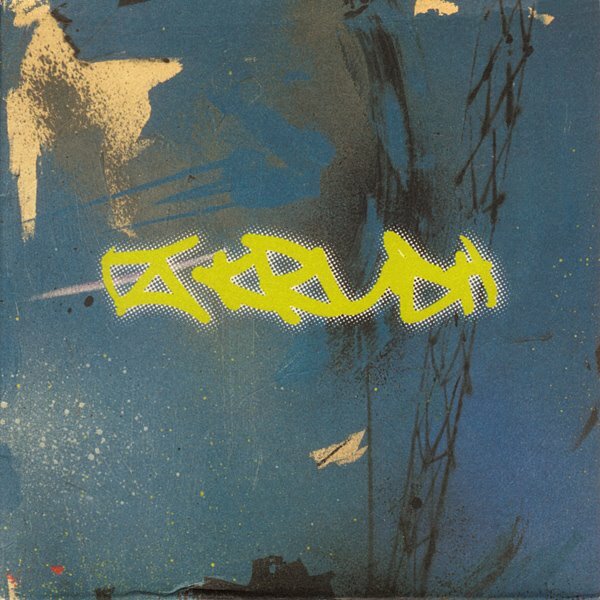 This 12″ by DJ Krush was released in 1995 when the UK Mo Wax label run by James lavelle was in full swing. A time when the UK electronic scene was at its peak, vinyl sales soared and genres like Jungle and Trip Hop were a household name. This single came after Krush’s first album for Mo Wax Strictly Turntablised and before his follow-up Meiso on which he worked with MC’s for the first time with great effect such as the stand out track Only The Strong Survive. The B-side features a devastating megamix of Krush’s songs by DJ Shadow. Krush and Shadow had previously shared a 12″ on Mo Wax with the brilliant Kemuri / Lost & Found release. The cover artwork is by the NY graffiti artist Futura 2000 who pioneered an abstract style of street art. During this period he designed many of the covers for the Mo Wax label.